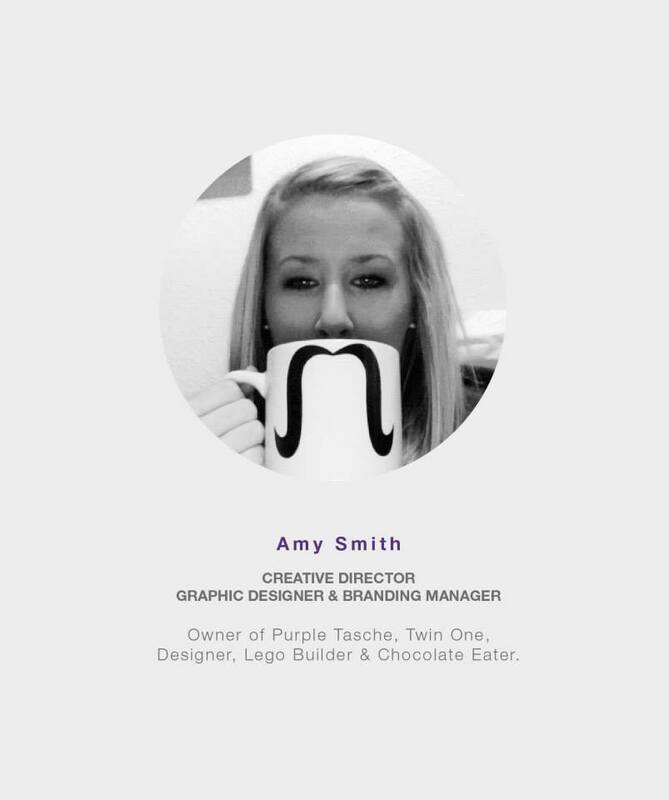 Purple Tasche was founded in 2012 by me (Lucy) and my sister Amy, not long after finishing our university degrees. 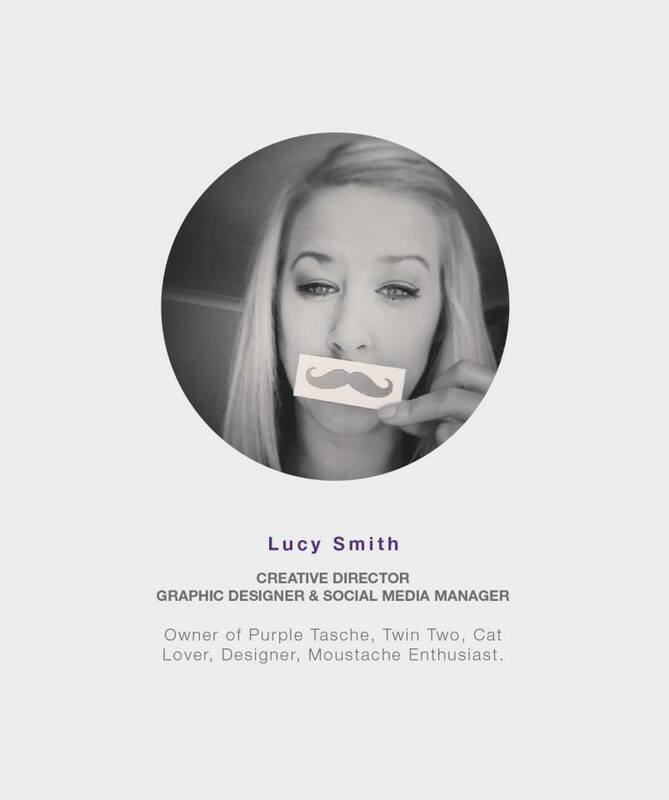 We both have a passion for design and moustaches and wanted to share this with world! This is how Purple Tasche was born! We are a few years down the line now and we have a great client base and we continue to grow. We have a great design team with different skills. This means we share our creative ideas and work together to make sure all projects are perfect. No matter if you have a big or small business we can cater to your needs and your budget. We’ll show you how our skills, attention to detail, creative service and quick turnaround can bring your projects to life. 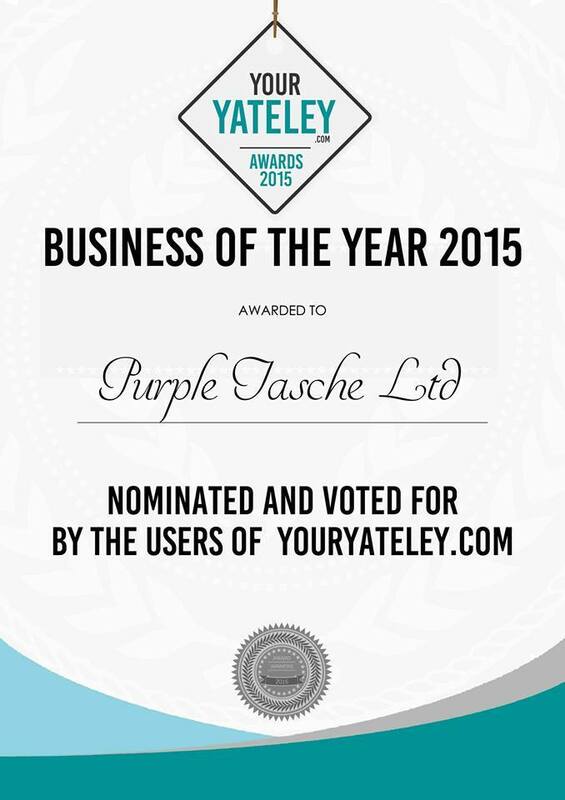 In 2015 we won Your Yateley, Business of the Year. 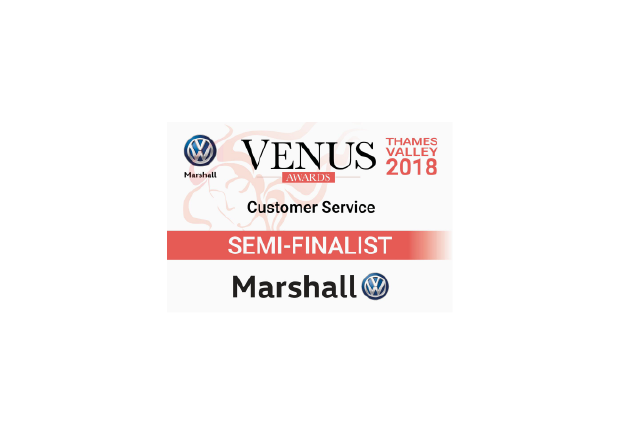 We were nominated by our clients and are still very happy and thankful to everyone who nominated and voted for us! Based in Yateley, Hampshire and Reading, Berkshire, we specialise in Branding and Print based designs. Our services include: Logo Design, Packaging, Brochure, Business Cards, Flyers, Wedding Stationery and much more. This entry was posted in Portfolio and tagged award reading, award winning reading, award winning yateley, award yateley, berkshire designers, creative studio, graphic design reading, graphic design story, graphic design yateley, graphics story, hampshire designers, moustache story, our story, poster berkshire, poster hampshire, purple story, story. Bookmark the permalink.